Long used by engineers and statisticians across industries, JMP entered the life sciences market five years ago. The introduction of JMP Genomics in 2006 enabled biologists, statistical geneticists and biostatisticians to explore the very foundations of life by applying powerful analysis and visualization capabilities to vast data sets common to genomics research. Last year, JMP Clinical was born, bringing the powerful combination of SAS Analytics and JMP graphics to the highly regulated environment of safety reviews in clinical trials. 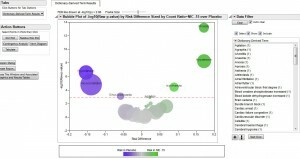 JMP Clinical helps clinicians and biostatisticians migrate from a static, document-centric world to an interactive environment that makes it easy for reviewers to see the big picture and then drill down to statistical results. New releases of both JMP Genomics and JMP Clinical later this week will bring enhancements and new capabilities to both products. 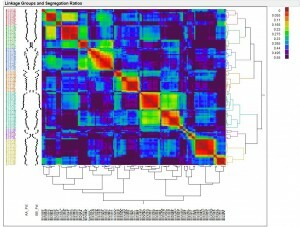 JMP Genomics 5.1 will add new tools for construction and visualization of linkage maps, among other capabilities. JMP Clinical 3.1 will automate the creation of patient narratives for each subject in a clinical trial who experiences a serious adverse event and save them in files formatted for further configuration and inclusion in the Clinical Study Report.